Kaf Coffee is extremely new. When I visited it had been open perhaps a week, tops. 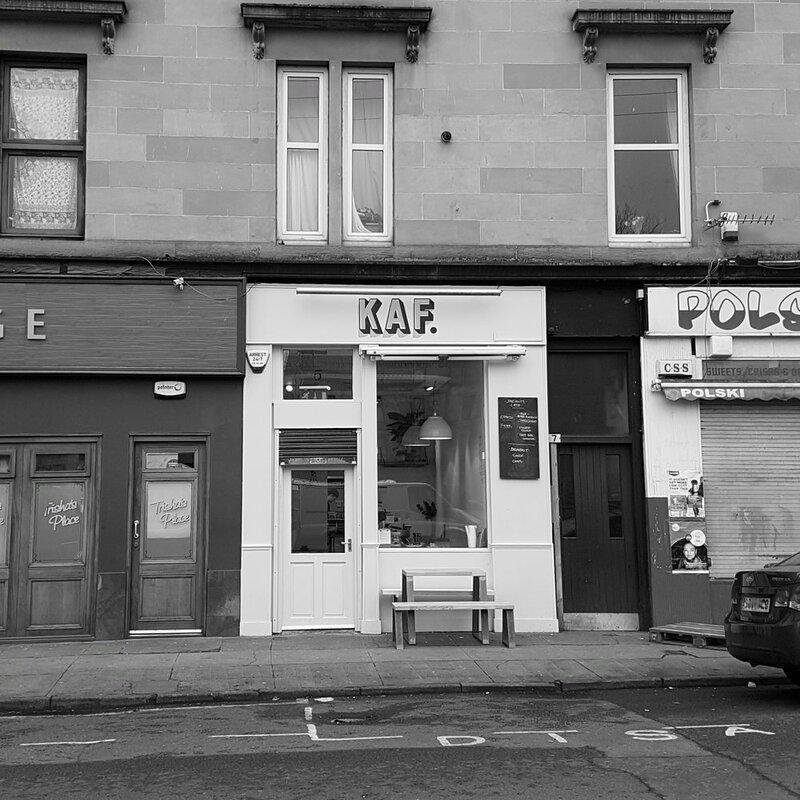 A sliver of a place with a bright white-painted storefront, it sits comfortably on Hyndland Street in Glasgow’s West End. However, it feels like it has been in business for years, the atmosphere inside welcoming and lived-in. On a quiet Sunday morning, with soul music playing unobtrusively in the background and the staff prepping for the day ahead, there is a feeling of tranquility that most coffee shops fail to capture. It is also small. Not cramped or claustrophobic, but modest and well designed. The brew bar is on the right as you enter, with a La Marzocco Linea and a white Mahlkonig EK43 grinder. The seating is minimal, with two tables and a small stool/bar area at the back, and a kitchen behind. Lots of blonde wood and simple, elegant design are on show. 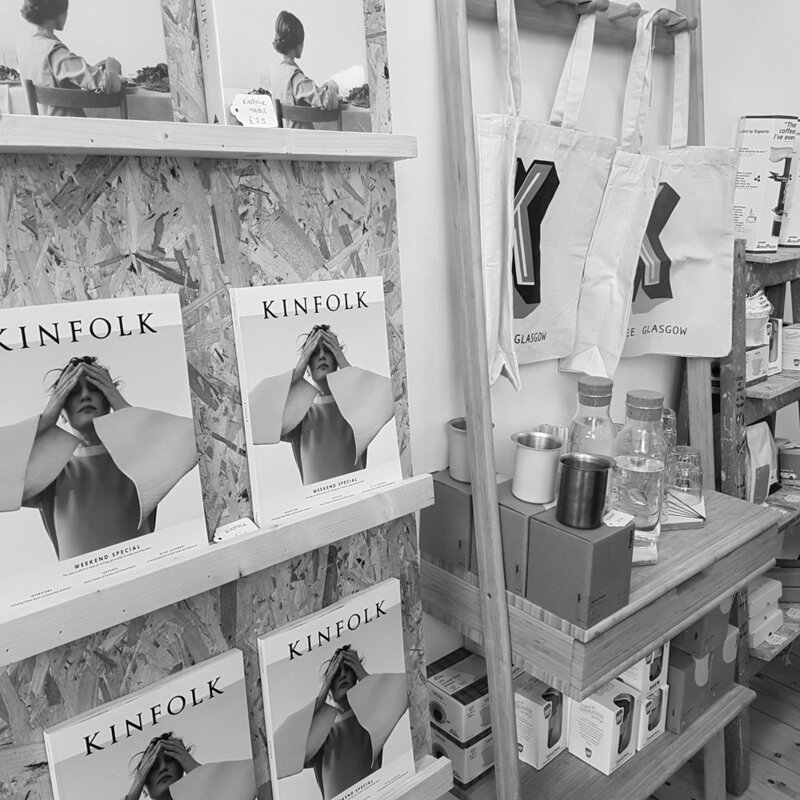 There is a tastefully upcycled merch area opposite the brew bar, selling Kinfolk magazine alongside Kaf tote bags as well as the coffees currently on offer from around Europe. Granted I was there on a Sunday morning, so things might change when it’s busier, but the space felt refined, calm and confident. The large window at the front of the shop lets light stream in, making the whole place feel big and airy despite its small size. To the coffee, then. While I was there they were serving, in various forms, Colonna Coffee from Bath, Workshop from London and North Berwick’s Steampunk. An Ethiopia from Colonna was being used for pour over, via a Kalita brewer, and was truly excellent. Floral and delicate, it sparkled with notes of lemongrass and a beautiful, shimmery brightness. The flat white was also delicious, sweet and refined with an indulgent millionaire’s shortbread finish. I'm told that over the summer they will be offering cold brew, and they are currently working on a peach iced tea as well. Something to look out for as the weather improves. There is also a pleasingly simple, Scandinavian-inspired food menu (the vegan Kaf breakfast roll is particularly tasty) as well as an ever-changing lineup of house-baked cakes and goodies. In fact, their focus on food almost matches that of the coffee, striving as they do to make as much as possible themselves - even down to the pesto. 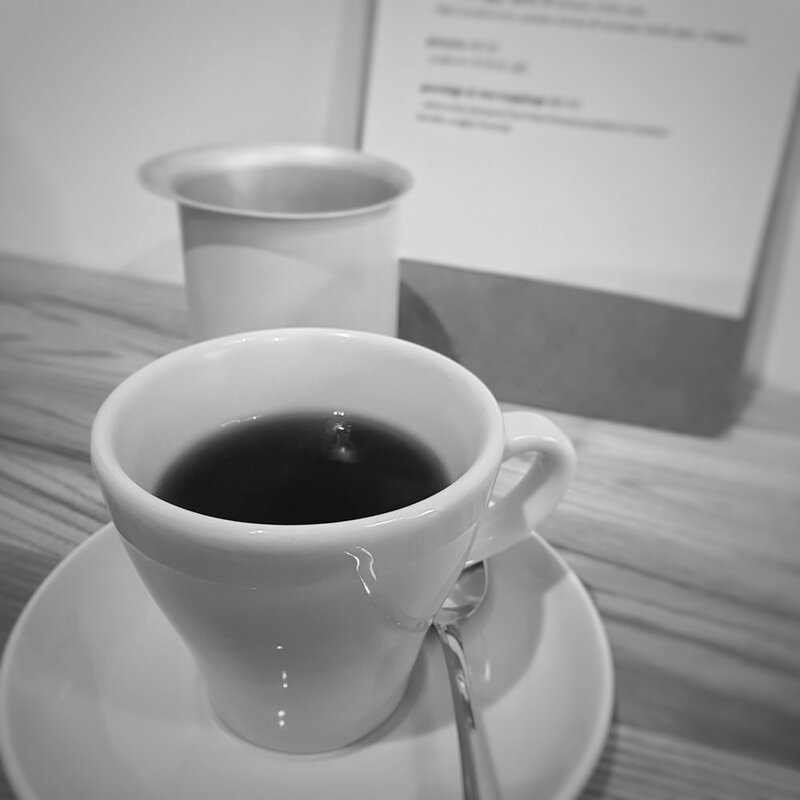 Kaf is one of the most interesting and personally appealing cafes I have visited since starting this blog. I like some part of every place I review, but it’s rare that I love every part. Kaf is an example of the latter: it has a distinct style, a lovely atmosphere, and excellent music. It also, crucially, has fantastic coffee - thoughtfully curated and carefully brewed. Even though Glasgow is not lacking in great coffee, every new opening should be greeted with enthusiasm and applause. Each new third wave cafe ups the overall quality not just locally, but on a national level. It adds to the community and increases the potential for new customers to be introduced to coffee how it should be. Kaf will certainly play its part.